1. Unwrap kiss (obvious, right?) and microwave for 5 seconds to soften a bit. 3. 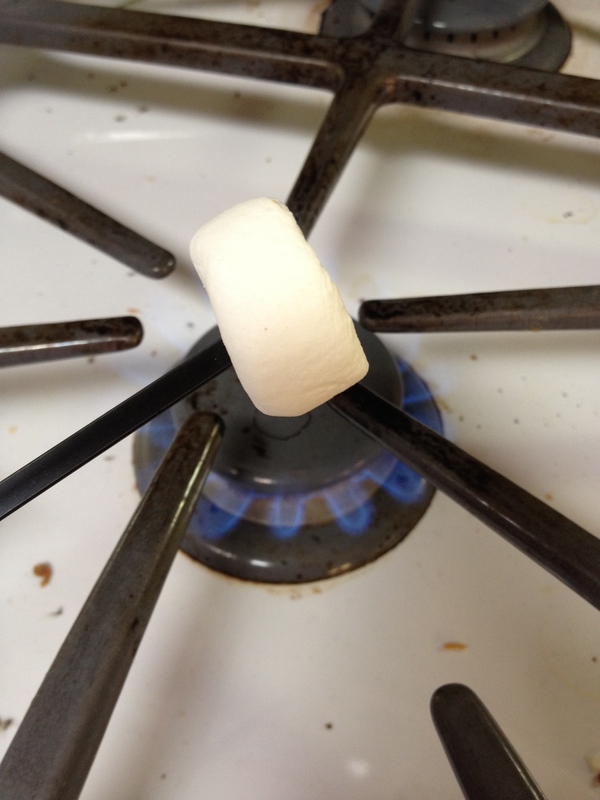 Place toasted marshmallow on Ginger this and immediately smoosh kiss on top. 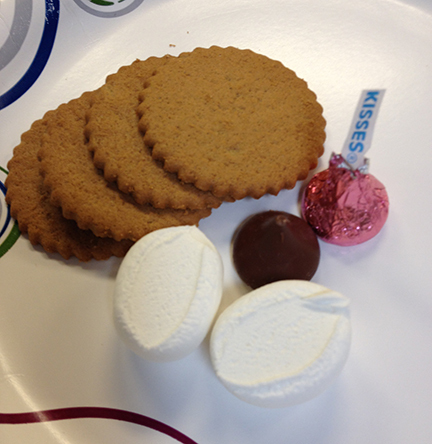 Posted in Cookies, Marshmallow, Milk chocolate, references, recipes and tagged S'more variations, S'mores. Bookmark the permalink. 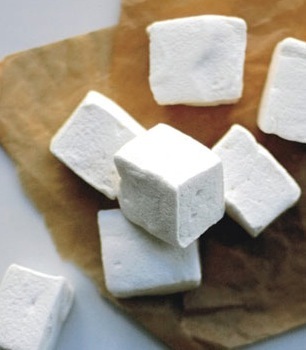 We in the U.S. think of marshmallows being squarish in shape. 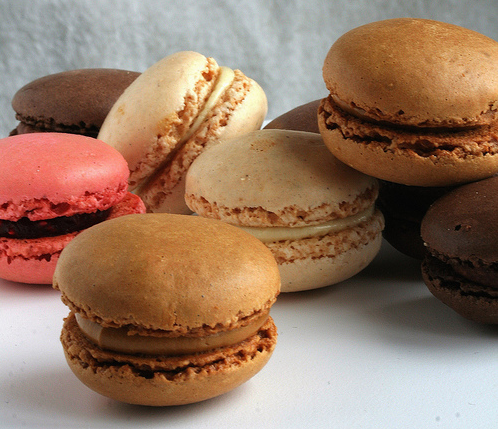 The French do everything with flair, and their sweets are amazing. 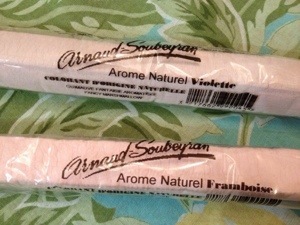 My friend Chuck brought these two marshmallow sticks to me from his travels to Paris, and these have to be the most unique souvenir that I have ever received. 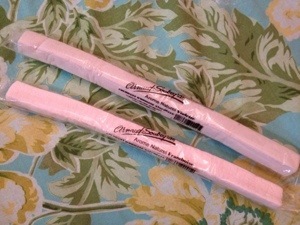 Each is about 14″ long, and wrapped in celophane. They are labeled as “Fancy Marshmallows” and that’s no lie. 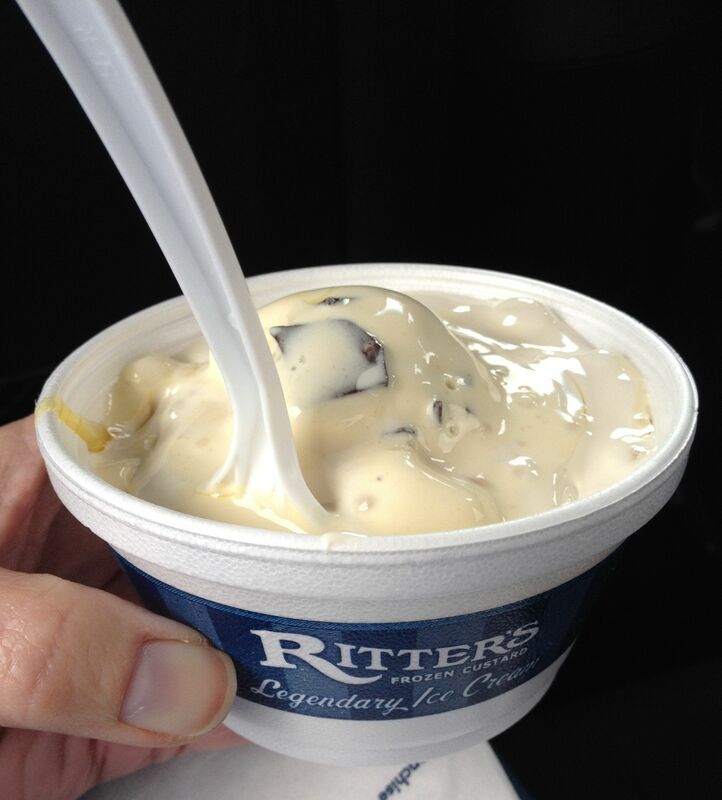 One is raspberry flavored, and the other is…..VIOLET! Really! A violet marshmallow! Only the French could imagine such a thing…. 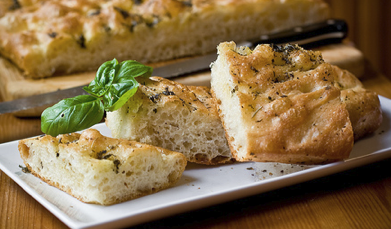 The flavors of each are subtle and absolutely delightful. The texture is like a homemade marshmallow, and the ingredients are simple, as if I had found them in my pantry. I am trying to ration these two by having a small piece each day. Posted in chewy candy, Marshmallow, travels. Bookmark the permalink. This is so clever, and the best/most creative use for Cadbury Creme Eggs (of which I am not a fan). When wrapped in Rice Krispy treats, they resemble Scotch Eggs. 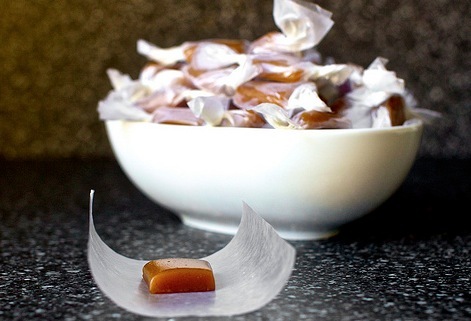 These come to us from the inventive blog “Coconut & Lime”. I doubt that I’d eat one of these, even on a dare, but I must admit that they are a fantastic creation! Posted in baking, candy crafts, Childhood memories, Easter, Marshmallow, Milk chocolate, references, recipes and tagged cadbury creme eggs, cadbury eggs, food, rice krispy treats, scotch eggs. Bookmark the permalink. It may look like Spring where you are, but up here in the north, it’s winter. So, warm drinks, and treats are still on the menu. I had seen these two recipes on Pinterest and wanted to try them out. 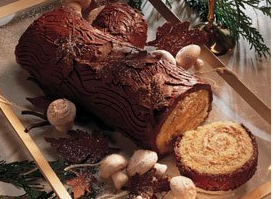 First the cocoa recipe is from Cook’s Country. 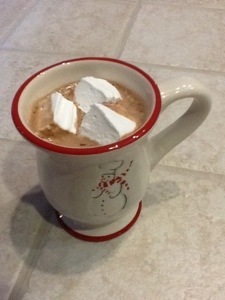 I followed it, but I didn’t have enough Dutch Cocoa, so I used Hershey’s instead, and I think it turned out well. It’s probably not as rich as with the Dutch, but it’s a keeper. It mixes well and if I add a little coffee it makes a good mocha. 1. 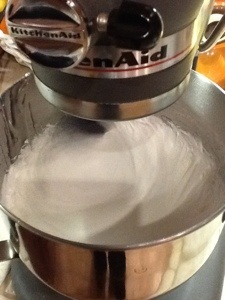 If you are using a Kitchen Aid mixer, you don’t need to beat the mixture for any longer than 9 minutes. 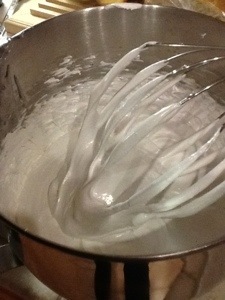 I mixed the first batch for about 13.5 minutes, and it made it stiff like nougat, and too hard to spread in the pan..
2. 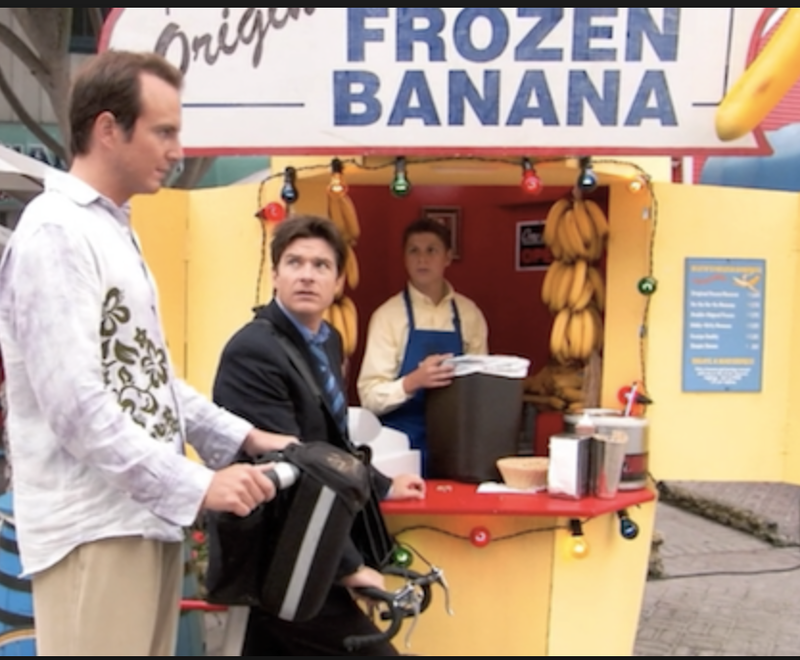 I added more vanilla the second time. 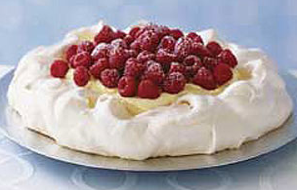 I’ve looked at other recipes and Ina Garten’s uses 1 Tablespoon of vanilla, which I used, and it was much better. I’ll try peppermint and a dash of red food color to make pink marshmallows next time. Any flavor would work, coffee, coconut, almond, etc. 3. Line your pan with parchment, spray with non-stick (unflavored) cooking spray, or butter the pan. Shake the powdered sugar mix around in the pan after you have covered it with platic wrap. Trust me, this will keep you from being covered in sugar dust. 4. 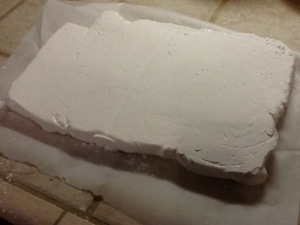 When the marshmallow slab has cooled in the pan for at least 4 hours, place another piece of parchment on top, and flip the pan over. You can cut the slab on that parchment. 5. 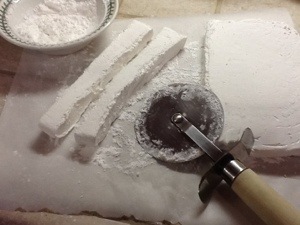 Cut the slab into strips with a pizza cutter dipped in the powdered sugar/corn starch mix. 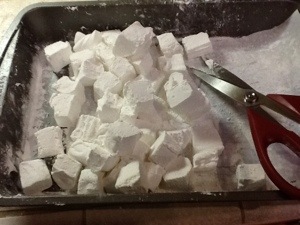 Then use kitchen shears, dipped in the same sugar mix, to cut the marshmallows into cubes. 6. 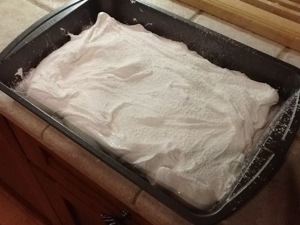 After cutting, toss the marshmallows with the powdered sugar/corn starch mix in the same pan where they cooled. This saves your clean up, and then everything cleans up with hot, soapy water. Verdict: This is a good recipe and uses basic ingredients. 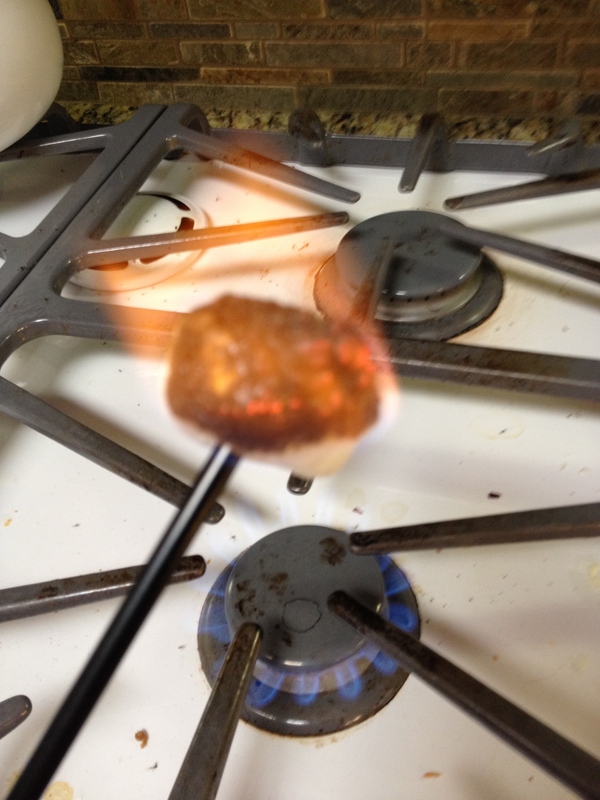 The marshmallows taste great toasted and I imagine they would make superior S’mores. I want to try the marshmallows from Smitten Kitchen, they incorporate beaten egg whites, and they look fluffier than Alton’s. Let me know if you have a favorite recipe for these, or if there’s a flavor that you like. Winter will be joining us for about 2 more months, so I have lots of time to experiment. 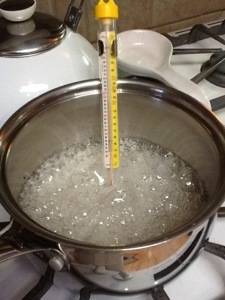 Cook the sugar, corn syrup mixture until it reaches 240 F.
Whip the cooked sugar mix for 9 minutes, or until it looks like fluffy marshmallow creme. Use a timer to keep track of how long it has been mixing. Don’t overmix. That is one big marshmallow. 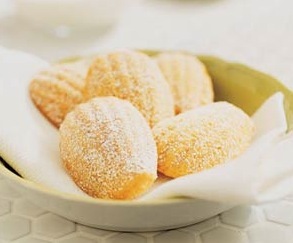 Cut them into cubes, and toss with the powdered sugar and cornstarch mix. 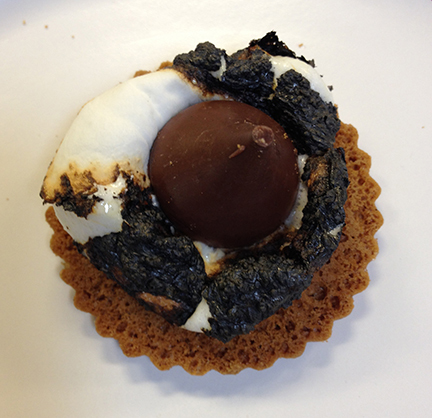 Posted in baking, Marshmallow, Milk chocolate, references, recipes and tagged dessert. Bookmark the permalink. Yes, a festival dedicated to the heavenly marshmallow goo has its very own festival. Held in Union Square in Somerville, MA, home of Fluff. The annual festival draws fans young and old. Click here for the link. There will be games, entertainment, and plenty of Fluff-themed food (and beer). The festival is free, and sounds wicked fun! So, clear your calendar on September 29, 2012. If I lived within 200 miles, I’d be there for sure! 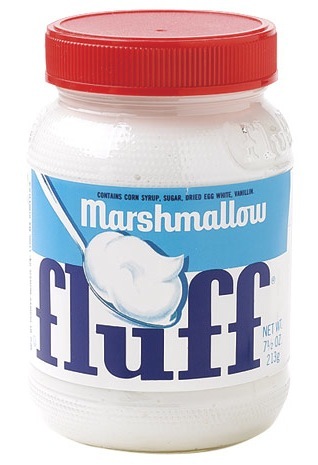 Posted in Childhood memories, Marshmallow and tagged fluff, marshmallow. Bookmark the permalink.